First let me say that we need more books like this one. 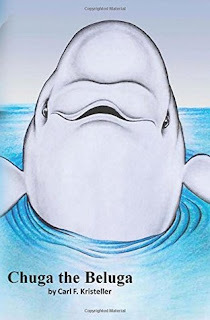 Chuga is a Beluga Whale. This is his first migration to Black Pebbled Beach. He must make some very important decisions that will affect him for life. Along the way he has the guidance of his mother and others. This is a simple yet important book because every child will be able to see themselves or others in this book. It deals with issues of new friends, bullying, building relationships based on kindness, how to show patience and most important, how to forgive. This will ring true with the youngest to the oldest showing the consequences of decisions they make. This book is not preachy, which is what makes it so wonderful. Along this journey there is much to be learned about life in the ocean.